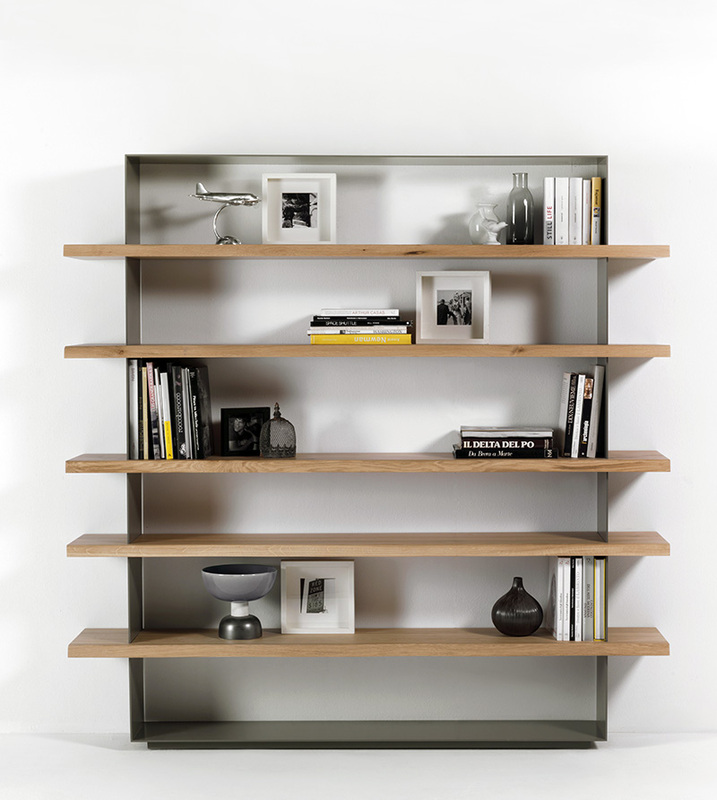 Wall mounted bookshelf collection with metal frame in sanded iron finish (or lacquered in RAL standard colors), shelves in solid wood (oak or walnut). 47.25"/63"/71"/79"/87"/94.5"/110.25" x 15" x 79"H.
Frame in natural sanded iron or RAL standard lacquer colors. Shelves in solid oak or walnut wood.